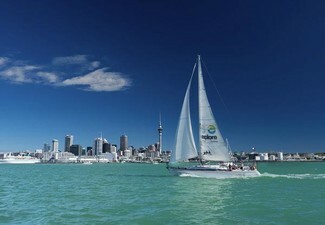 What could be better than a whole day spent on Waiheke Island sipping wine? Cruising around on a vintage London double decker bus sipping wine with other wine lovers of course. 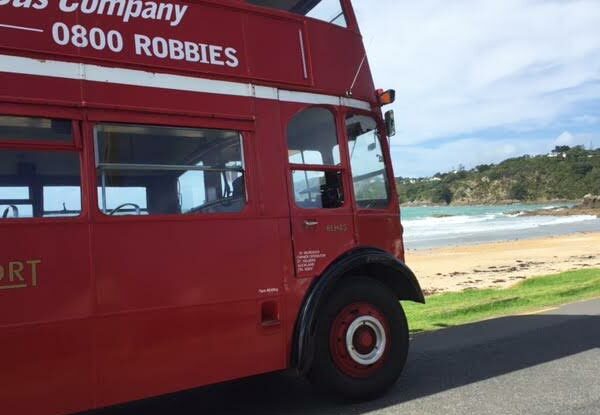 With Robbie from Robbie's Double Decker Fun Tours' extensive knowledge of Waiheke Island and it's vineyards, Daisy the vintage red London bus will show you the best that Waiheke has to offer. 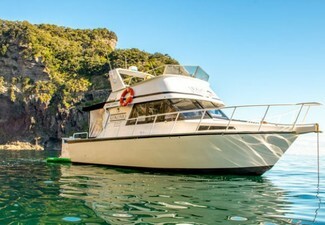 Stopping off at two prestigious and renowned Waiheke vineyards, Mudbrick and Cable Bay, and beautiful Onetangi Beach, you'll get the total island experience. 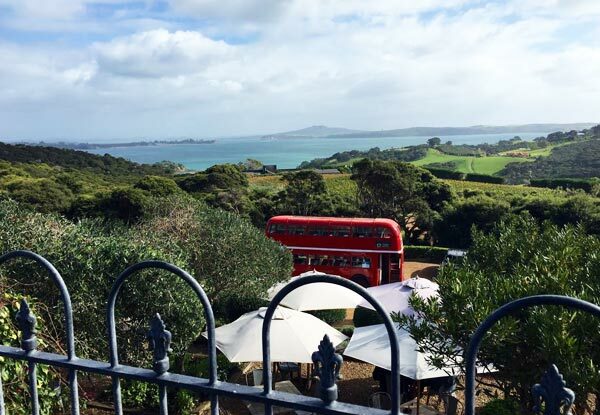 If you want something different Robbies can drop at other vineyards or if you want to extend your Waiheke Island winery experience you can either stay on at the vineyards or be dropped off at Oneora village - the day is about you. 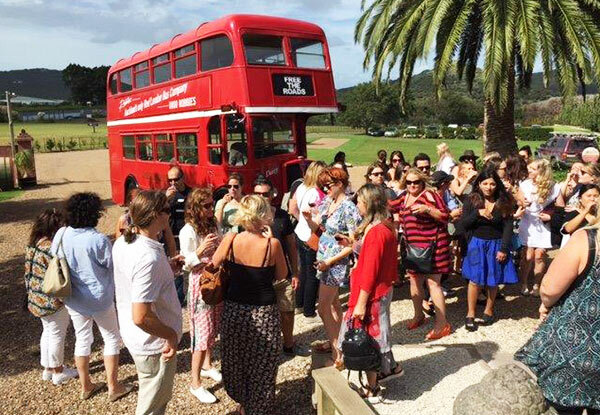 Witness the stunning views and natural scenery that Waiheke has to offer with options to share the excitement with plenty of friends, a fantastic idea for hen's parties, birthdays or celebrations. 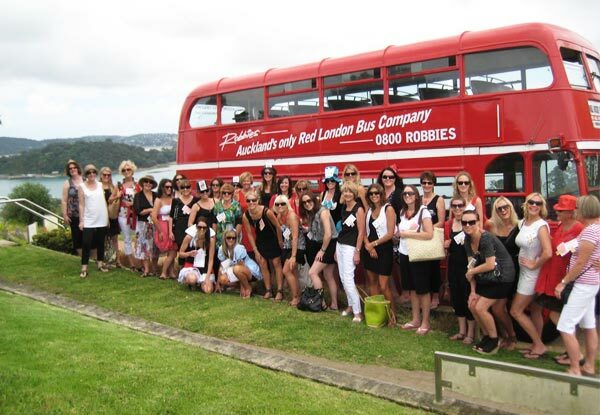 Grab a double decker bus full day Waiheke wine tour from Robbie's Double Decker Fun Tours. 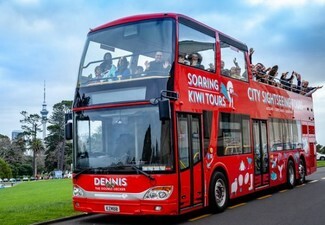 With the largest double decker fleet in New Zealand, and offering a huge range of buses from vintage to modern, Robbie's Double Decker Fun Tours is undoubtedly the best bus company in and around Auckland. 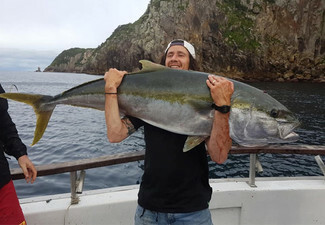 Responsible for introducing the first party bus in Auckland over 20 years ago, they have the skills and experience to consistently exceed your expectations, every time. Let them wow you with their exceptional service and unique approach to events, weddings, and transfers – whatever your transport requirements, they can surely help you out. Bookings essential. Subject to availability. Must be used in 1 visit by number of people stipulated on coupon. 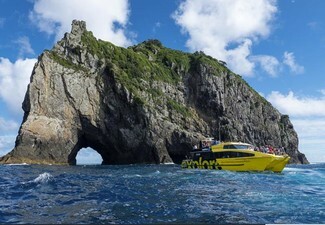 Minimum of 10 people per tour for bus to run. Please call before purchase to check availability. 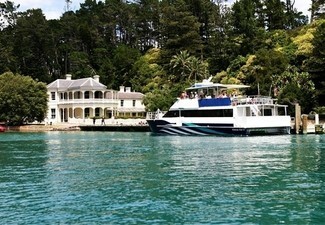 Double decker bus will meet you at Matiatia Wharf at 10.35am (catch the 10.00am ferry and 4.00pm return). Ring Robbie to check availability for your date. 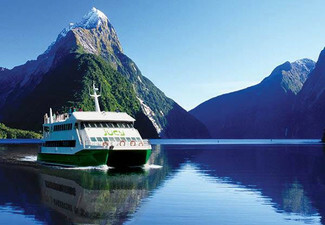 Ferry not included. Maximum people for each day is 48. R18 for alcohol. Always drink responsibly. Host responsibility applies. 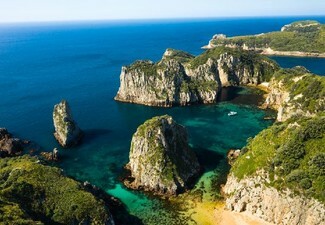 Package includes two wine tastings and transport. Robbie's reserve the right to change vineyards at their discretion. Not valid on public holidays. No refunds unless required by law. No cashback. Not to be used with any other offer.